Just added! Paul is now donating a Gene Simmons AXE bass guitar signed by Gene! 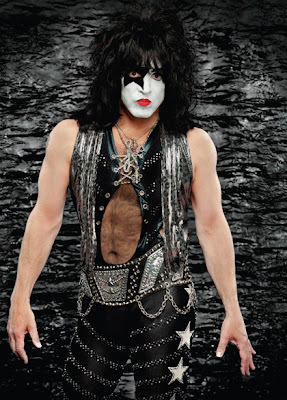 Receive a Phone Call from Paul Stanley of KISS, a Signed Washburn PS 150 Electric Guitar & Signed Guitar from Gene Simmons! You have the chance to win both when you bid on this new CharityBuzz auction! The winner of the auction will own a Washburn Paul Stanley model PS 150 electric guitar that was signed by Paul Stanley! The winner will also have the exclusive opportunity to speak with Paul when he or she receives a 5 minute phone call from the legendary rock frontman! The winner will also receive a Gene Simmons AXE bass guitar signed by Gene! VISIT https://www.charitybuzz.com/catalog_items/338103 to bid now!